High-heeled shoes are characterized by a heel that is raised significantly higher than the toe. The existence of high-heeled shoes can be found in ancient Egypt, circa 3500 B.C. While poor Egyptian citizens generally went barefoot, some artistic depictions show upper-class Egyptian females wearing rudimentary shoes with high heels. Today, many women wear high heels to work and other social engagements. The noise heels make on hard surfaces can be reduced easily, via a simple duct tape alteration. Wash the soles of your high heels with soapy water and a washcloth. 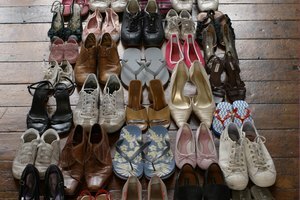 Set the heels in a sunny location until thoroughly dry. Duct tape is available from most major manufacturers in a wide variety of colors, so you should select the color that is closest to the color of your particular shoe heel. Cut a piece of duct tape into two squares that are about two mm wider than the circumference of each heel. Set the duct tape squares, sticky side up, onto a hard surface. Place your high heels into the center of each duct tape square. Press down firmly on the shoes until the heels bond with the tape adhesive. Pull the duct tape up over the sides of each heel. The tape will be barely visible to the eye on the sides of the heels, but the small overlap will provide extra hold for the duct tape. Put on your shoes and walk around. 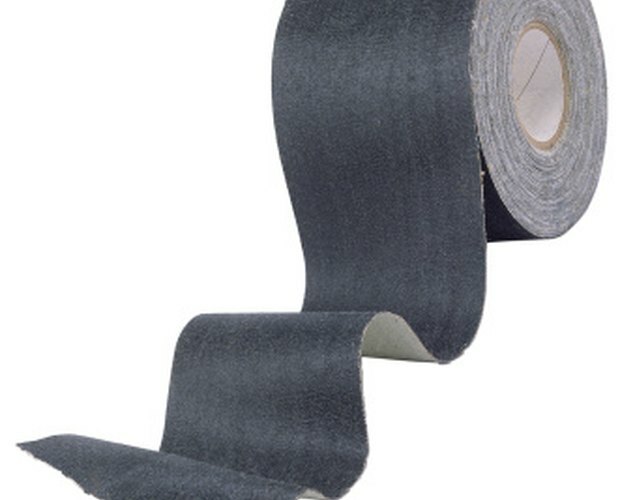 If the sound is not muted enough, repeat steps 1 to 3, layering one strip of duct tape over another until your heels are adequately quiet when walking on hard surfaces. Change your duct tape every month or so, to preventing its falling off the heels in public. While duct tape will mute noise from both stilettos and wider heels, you will need to replace the tape on stilettos every time you wear them, since there is less surface area for the adhesive tape to bond securely. Duct tape is designed to provide traction, so it poses no greater danger of slips and falls while wearing high heels. Do not cut duct tape more than 2 mm larger than your heels, or the tape will be highly visible on the sides of your heels.